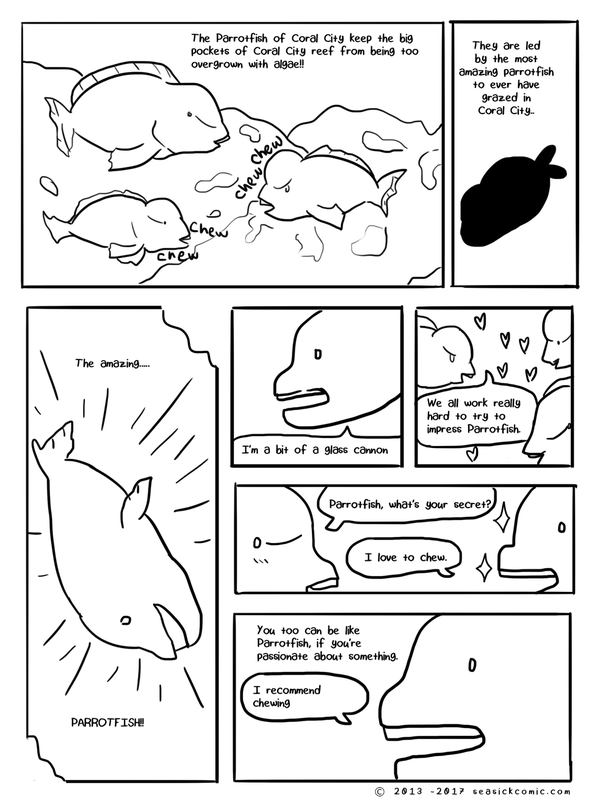 chapter-one-parrotfish – Seasick – The Underwater Adventure Comic. Updates Fridays! on April 10, 2017 and modified on April 10, 2017. Bit of a different page for Seasick today…I’m currently sorting out issues with my visa that allows me to stay in the UK, so didn’t have the time to finish up today’s page. But I hope you enjoy learning some TRUE FACTS about parrotfish instead! To learn more about the adorable parrotfish, check out its comprehensive wiki page.